Pediatric Dentistry of Suffolk & Nassau County was nominated for Best Pediatric Dental Practice on Long Island and we need your help! You can vote on the Best of Long Island website once a day until voting ends on December 15. 1. Head to the Best of Long Island website and click Vote Now. 2. Scroll down the page and click on the Health and Wellness category. 3. Click on Pediatric Dental Practice. 4. 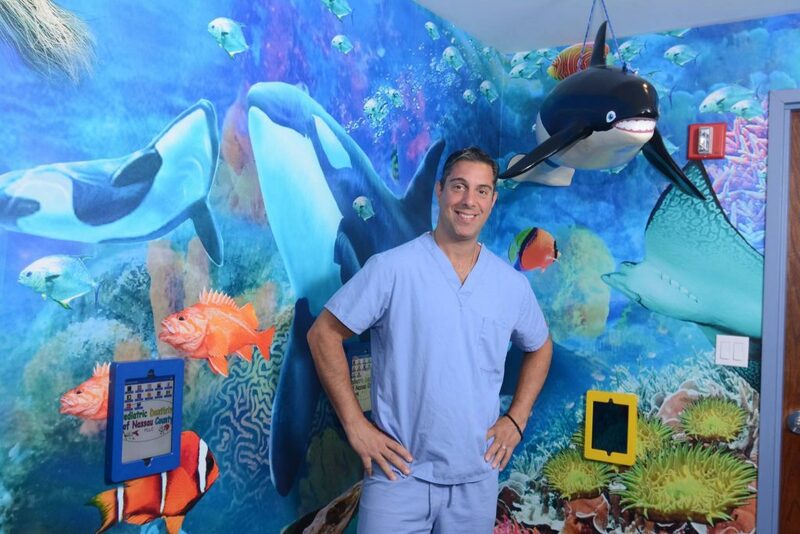 Vote for Pediatric Dentistry of Suffolk County PLLC – Dr. Chris and Michael Ioannou – Multiple Locations. Why Vote for Pediatric Dentistry of Suffolk & Nassau County? From early infant oral care to adolescent dentistry and orthodontic care, our nurturing and compassionate approach to pediatric dentistry ensures that our patients are comfortable at all times. We work hard to provide optimal dental care in a safe and inviting atmosphere. We also love to educate our patients with some of the best home tips to help them take the best care of their teeth and gums. “The staff was very pleasant, helpful and supportive! Dr. Danielle was wonderful with my seven and eight-year-old sons. She did a very thorough exam and made them feel very safe and relaxed!!! My youngest had to have an extraction and filings at the same time and he didn’t feel a thing. They were singing and distracted him through the procedure. Even he was amazed how quick and painless it was. I would recommend them to all my friends and family!” – Jennifer J. “Amazing talented and friendly staff. I see how nervous and scared some kids are, and the staff always has a way of making them feel comfortable and at ease. From the front desk to dental assistants, to dental hygienist, to the dentist and orthodontist. Everyone is amazing. My child has been coming here since the age of 2, and 10 years later they still amaze me. I always recommend friends and family to this dental family.” – Simone D.
“Best office, dentists and hygienists around! Always able to make 1 appointment for all 3 kids. Hygienists and dentists are all kind, compassionate and my kids love them all.” – Nancy H.
“We had to have an emergency appt for my little 4yr old daughter. From the minute I called the office and spoke to the staff to the second I walked out the door after our appt, it was a great great experience. My daughter ended up needing surgery with Dr. Danielle Cooper. Wow wow wow!! Just awesome, gentle, happy, loving and very patient. What a great find and we will be patients from now on for all of my kids! Highly highly recommend them! Thank you!” – Steffanie G.
“My 4-year-old son went last week for a cleaning and was hysterical. Dr. Mike had us come back in today at 7:45 before they opened since there were no appointments available. Miss Linda worked with my son and was the most patient and loving dental hygienist. She made him feel comfortable by talking to him and interacting with his stuffed animals. She was exactly what he needed to get his cleaning done. Thank you, Miss Linda!” – Kelly L.
We recognize that we are nothing without our devoted patients and we appreciate all of your business and loyalty in helping make our practice what it is today! Thank you for your business and support and allowing us to love what we do! To learn more about our practice visit us here or if you have any questions, kindly give us a call!